Earn up to 22,984 reward points. Pro features at every design element. 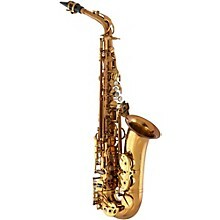 A traditional style professional saxophone. The EAS640 is a free-blowing horn with a very focused big sound and precise intonation. Solid construction with comfortable hand position and extras such as adjustable palm key heights.